The University of Hawaiʻi Maui College will soon be among the first in the nation to generate 100 percent of its energy from on-site solar photovoltaic (PV) systems coupled with battery storage. The project is part of a partnership with Johnson Controls and Pacific Current that will also allow four UH community college campuses on Oʻahu to significantly reduce their fossil fuel consumption. UH Maui College’s new PV plus storage system will be capable of eliminating the campus’ fossil fuel-based energy use when it is operational in 2019. On Oʻahu, through the combination of solar shade canopies, distributed energy storage and energy efficiency measures, Leeward Community College, Honolulu Community College, Kapiʻolani Community College and Windward Community College will reduce their use of fossil fuel for energy by 98 percent, 97 percent, 74 percent and 70 percent, respectively. In 2015, Hawaiʻi became the first state in the country to make an unprecedented commitment to achieve 100 percent renewable energy by 2045. Concurrently, UH and the Hawaiʻi Legislature established a collective goal for the university system to be “net-zero” by January 1, 2035, meaning the system would produce as much renewable energy as it consumes across its campuses. The partnership between UH, Johnson Controls and Pacific Current is the second phase of a multi-year energy efficiency and renewable energy project. In phase one, energy efficiency measures were successfully implemented at UH Maui College and the Oʻahu community college campuses under energy performance contracts awarded to Johnson Controls in 2010. Phase two includes additional energy efficiency upgrades and the installation of on-site solar PV coupled with battery storage, allowing the five campuses to use the renewable generated energy as needed. 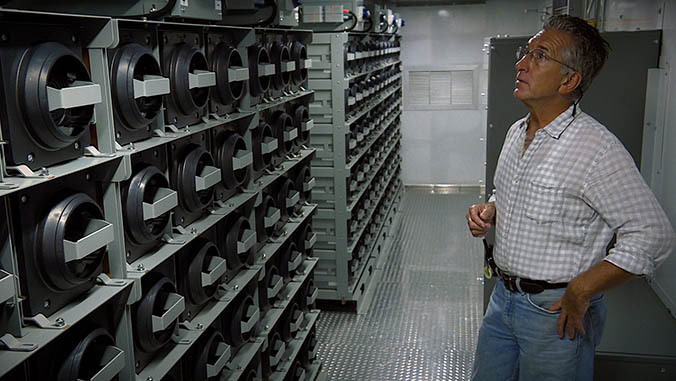 The PV plus storage systems will be developed by Johnson Controls and owned by Hawaiʻi-based Pacific Current. The energy efficiency upgrades will also reduce the deferred maintenance backlog at these campuses by approximately $20 million. Following the successful implementation of energy conservation measures across the campuses during phase one, phase two will bring the total on-site capacity to 2.8 MW of solar PV and 13.2 MWh of battery distributed energy storage at UH Maui College, and 7.7 MW of solar PV and 28.6 MWh of battery distributed energy storage to the UH Community Colleges Oʻahu campuses. “Hawaiʻi’s leaders set the national example of sustainability and renewable energy standards with the net-zero mandate by 2035 for UH, and we’re proud to partner with the university to help it reach that commitment and aim for UH Maui College to become the first campus in the U.S. to generate and store 100 percent renewable energy onsite, 16 years ahead of schedule,” said Rod Rushing, president, Building Solutions North America, Johnson Controls. For additional information on the UH‘s progress toward its net-zero goal, see the Annual Report on Net-Zero Energy for the University of Hawaiʻi 2018 (PDF).